CLICK FOR CURRENT SCHEDULE, DETAILS, AND ENROLLMENT! 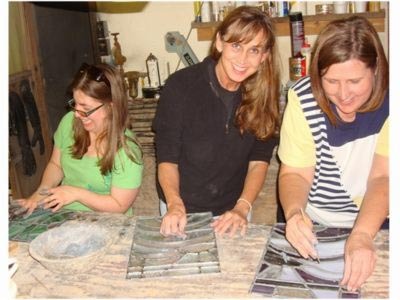 Welcome to our stained glass classes! From teenagers to grandparents, from beginners to adepts, we have classes for everyone. 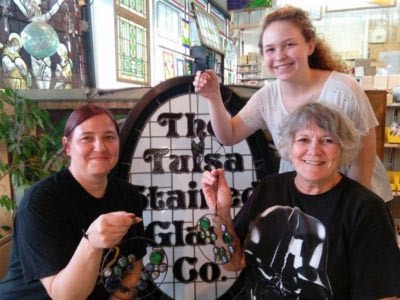 Since 1975, we have been happy to share our stained glass knowledge with students of all talent and experience levels, from Tulsa and throughout northeastern Oklahoma. 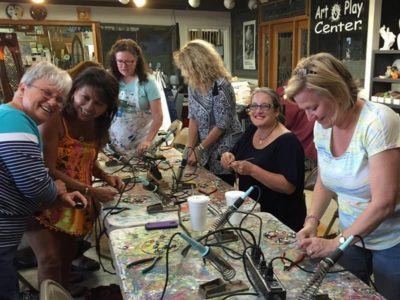 Our short project classes are perfect for out-of-towners looking for a special experience on a day-trip or weekend getaway to the Tulsa area. 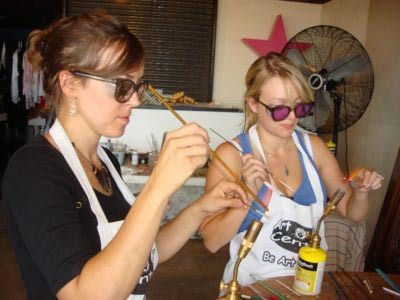 Come socialize, invite your friends and family, and make a thing of beauty. 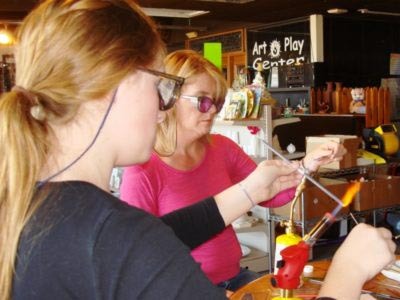 Enjoy a unique, creative adventure unlike anything else available in Tulsa today! 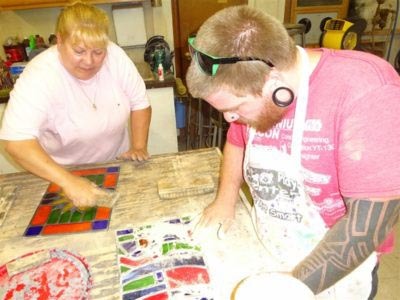 We offer our Beginning Stained Glass, Garden Spirit Sculptures, and Ring Things classes throughout the year. 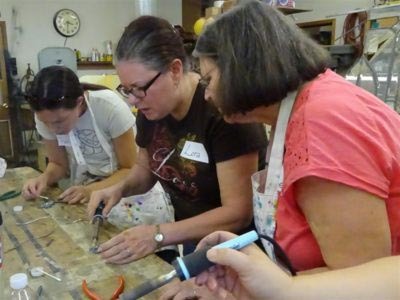 Watch our schedule for a variety of short project classes for beginners, from whimsical birds to flowers to lampwork beads and fusing, as well as Intermediate/Advanced project classes and special Beginner and Intro class schedules. 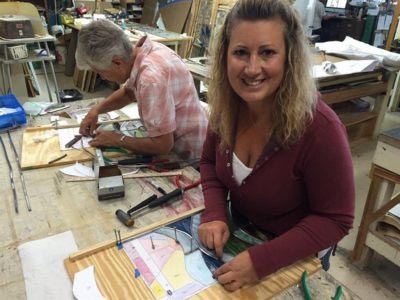 Learn the complete process of making authentic leaded stained glass windows, using the same techniques artisans have used to create lasting works of art since the Middle Ages. 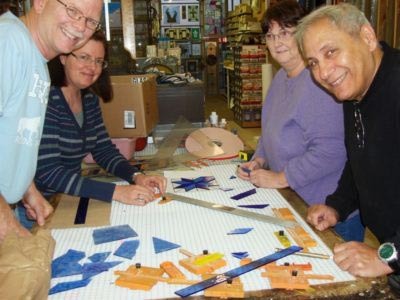 This 8-week class starts with design and ends with a finished stained glass panel ready to hang. 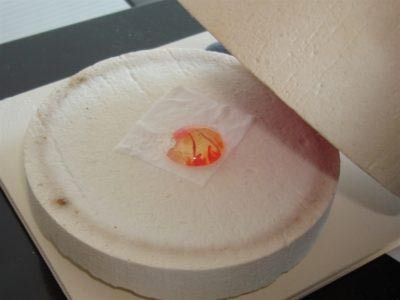 We also include a demo of the copper foil construction technique. Both daytime and evening classes are available. More information. 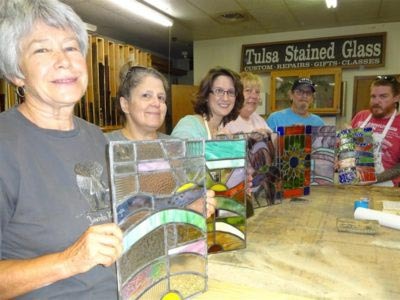 Can’t come to Tulsa for our Beginner Stained Glass Class? Check out our video instruction. 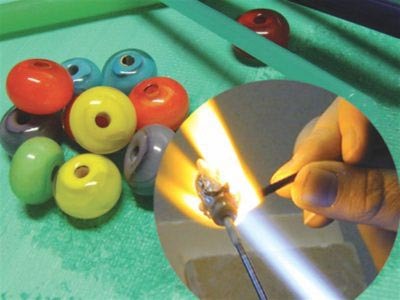 Try just one or two videos to refresh your skills in glass cutting or soldering, OR work your way through the whole series and learn to build a stained glass window! Choose a style and color combination, arrange your glass pieces and nuggets in your own unique way, and build a stained glass Garden Spirit to brighten any outdoor space. Materials included. See more information about our Garden Spirits. 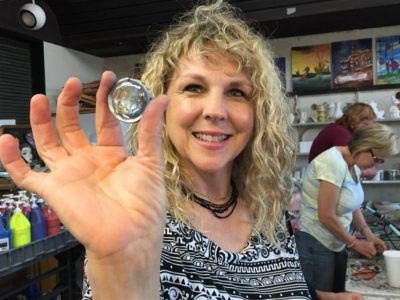 Start with a ring and a pile of glass gems and build a stained glass art piece to hang in your window! Materials included.